Dave Canterbury definitely would not describe himself a hero of sustainability, but for several reasons he is. Dave is one of the world’s foremost bushcraft instructors. He is best known for describing the five ‘C’s of survivability. He has spent a lifetime making an in-depth study of how pioneers in America not only survived but thrived in the wilderness using only a small amount of equipment and a large amount of knowledge. These pioneers were often hunters and trappers but they might also be explorers, scientists, prospectors, surveyors and sometimes soldiers. As one of Dave Canterbury’s mentors, Horace Kephart, said ‘the more you know the less you have to carry’. In addition to bushcraft and camping skills – such as building shelter, building and lighting a fire, and preparing and cooking food on a fire – Dave teaches hunting, trapping, fishing and foraging skills. All of these skills allowed the bushcrafter to be self-reliant. Dave also studies and teaches many other traditional skills that would have been practiced in more permanent camps and homesteads. Skills such as blacksmithing, woodworking, toolmaking and machine making. He teaches weaving, basket-making, leatherwork and basic clothes making. Dave talks about ‘common man’ products, namely products that are affordable. He believes that anybody and everybody should be able to get out and enjoy the wilderness. This is his key goal, to get people into the bush equiped with the right skills so they can enjoy themselves in safety and confidence. As Dave says why rough it when you can easily smooth it. He often finds second-hand bargains and he videos himself refurbishing or repurposing these tools and other items. However he also talk about the benefit of quality even if it’s more expensive. For example, a well-made oiled canvas pack, whilst expensive, will last a lifetime or more if cared for properly. He teaches that tools will be safer and last longer if they are maintained and used properly. Dave teaches responsible and sustainable use of wilderness areas. 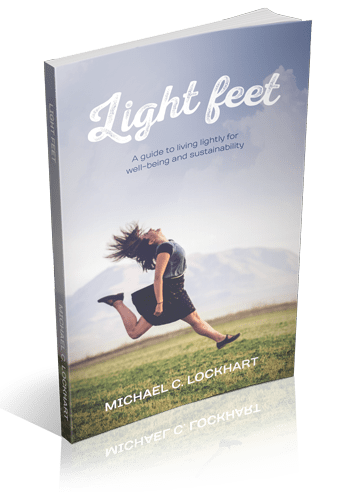 He teaches fire safety, sustainable wood gathering, and good camp etiquette. Dead standing wood is the best for fire-making, because it is dry, there is no need to cut down living trees. Fires should be put out with water and the cold, wet ashes spread around by hand. The key is always to leave a campsite as if no-one had been there. 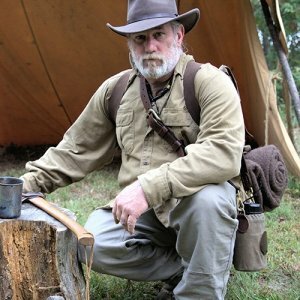 He has made television shows and written books but much of his instructing is done through videos which are on his Dave Canterbury Youtube channel. Read more about learning simplicity from bushcraft.